True to our Catholic and Jesuit mission, The University of Scranton must provide an education that is inspiring, purposeful, rigorous and transformative. But first, we must provide access. "Ensure that a University of Scranton education remains cost competitive to our students and allows families to avoid the burden of excessive student debt." 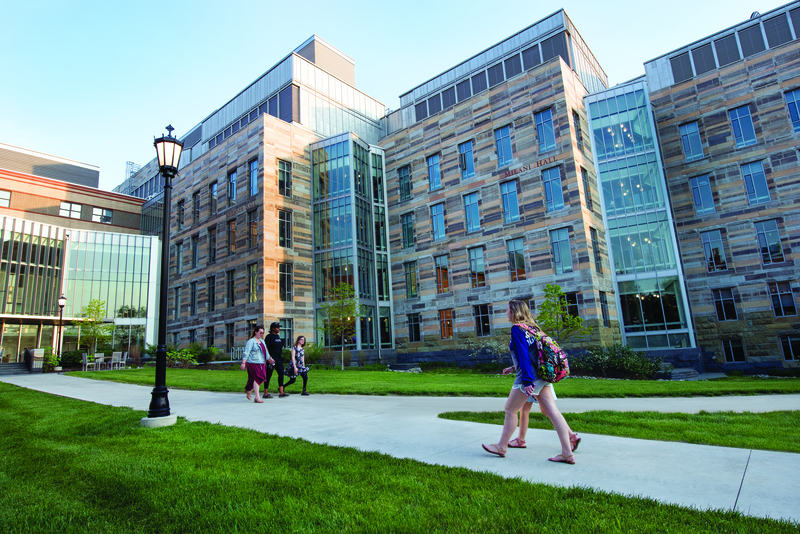 The average family contribution to a University of Scranton education is rising, and so is the need for financial aid and scholarships. Along with offering generous financial aid packages, Scranton is committed to making education affordable, maintaining tuition increases at the lowest level since the 1970's - 2.75% in 2017. Less than 3.5% of the University's annual revenue comes through endowment income or private gift support; to attract and retain the best and brightest students, regardless of their financial means, we need to significantly increase the University's endowment. The University offers a number of ways for donors to ensure their legacies through student scholarships. 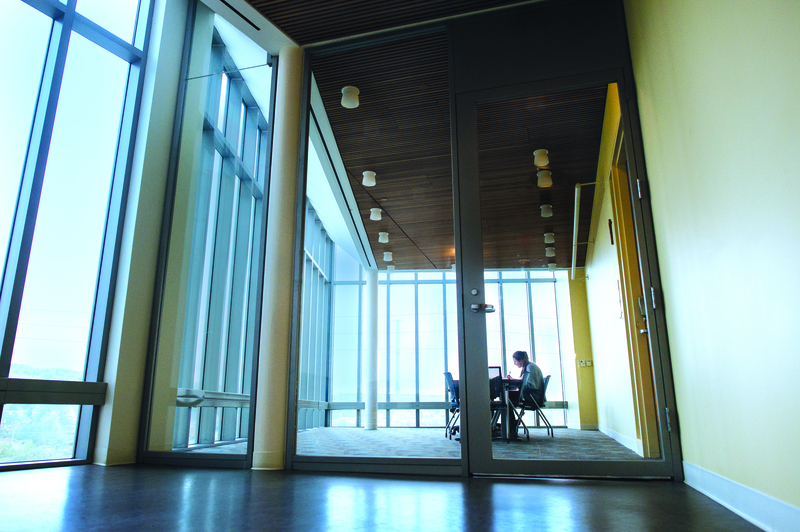 Endowed scholarship funds ensure legacies. Endowed gifts are pooled with the University's endowment funds and invested to yield the maximum return. 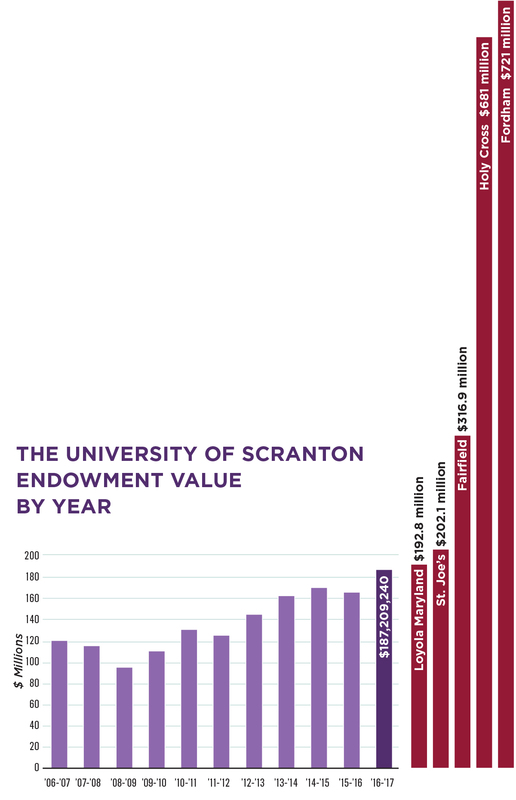 The income generated from the endowment is then directed to funding scholarships for Scranton students. Additional funds can be added to the existing scholarship over time. Charitable commitment (minimum of $50,000) documented through your estate plan. Current-use gift is matched to the academic experience of one Scranton student. Annual gifts to The Royal Fund provide resources that can be used immediately to cover the financial aid and scholarship needs on campus without a minimum commitment level. Gifts of all sizes make a difference. "Without it, I wouldn't have been able to come here," said a recent graduate from Old Forge, Pennsylvania. And a sophomore physical therapy major who chose Scranton over a school in Philadelphia says, "I wanted to come here, but my parents were worried about the finances because I have a brother and a sister who are also in college and another brother in high school." A young Russian émigré whose family came here under the sponsorship of the local Jewish community is making the educational transition from Moscow to America where she says, "I can study what I want - molecular biology." These three, and hundreds more, have one thing in common - an endowed scholarship at Scranton. Our history is full of stories like theirs. From its founding in 1888, the University's mission has always been to provide the finest in higher education - especially to those who need it most. Bishop O'Hara understood that when he founded St. Thomas College to serve the young men of the Lackawanna Valley. The Christian Brothers, who administered the school in the name of the Diocese of Scranton for half a century, understood it, too. And so did the legendary Frank O'Hara, who conceived "work-study" programs long before the government did and discovered a multitude of creative ways for students to pay their tuition during hard times. When the Jesuits accepted administration of the University in 1942, their Ignatian tradition converged with what had gone before, strengthening the dual objectives of excellence and accessibility. St. Ignatius himself had envisioned them as free institutions, supported by the benevolence of patrons. Five hundred years have not altered that vision, even if modern reality is less than perfect. In today's world, the University's ability to provide financial aid is critical to its continuing mission. 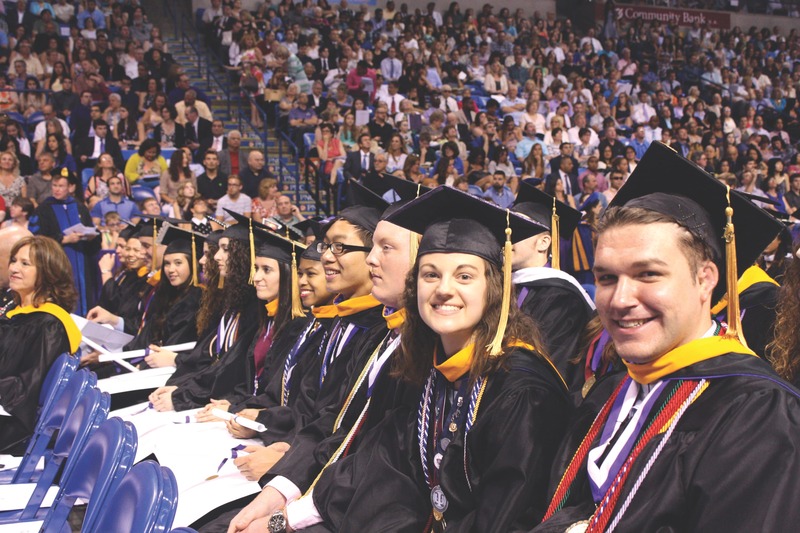 Indeed, in the face of increasing competition and decreasing federal and state assistance to students, Scranton has increased its own student aid more than 250 percent in the past 10 years, while holding tuition increases to a much lower rate. Yet, Scranton often competes for the best students with institutions whose larger endowments give them an unbeatable edge in financial aid. In the short run, because the University cannot adequately meet financial needs, this results in losing good students. In the long run, declining competitiveness in financial aid erodes the quality of the institution and restricts its accessibility for students of modest or even comfortable means. To make an online gift to an existing scholarship fund using MasterCard, Visa, Discover or American Express, please visit www.scranton.edu/makeagift. Indicate the name of the scholarship fund in the comments when completing the gift form.